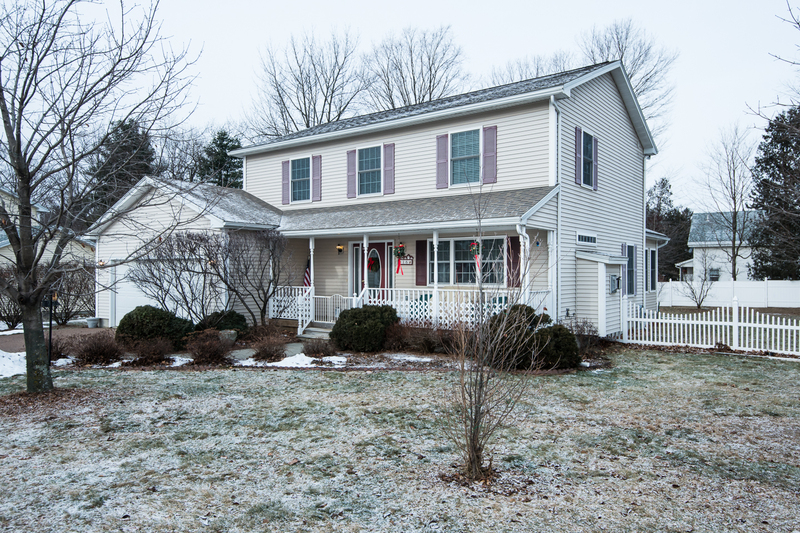 Come home to this warm and inviting colonial located in the heart of Colchester Village! This property has much to offer. 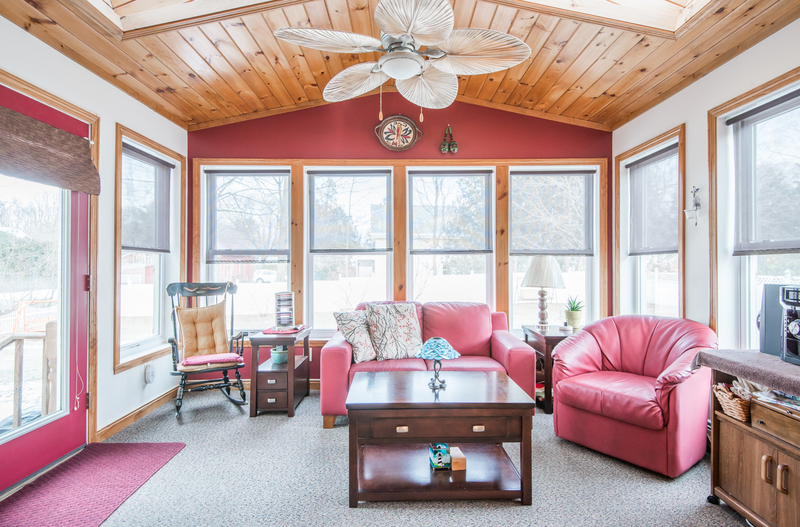 A cozy front porch will welcome your guests to a house great for entertaining! 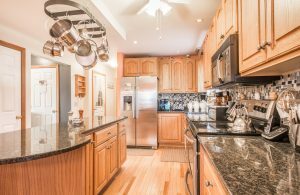 The fully upgraded kitchen boasts granite countertops, spacious custom cabinets, and a pantry, along with an island for added workspace. Hardwood floors extend from the kitchen throughout the dining and living room, where a gas fireplace will keep you warm. 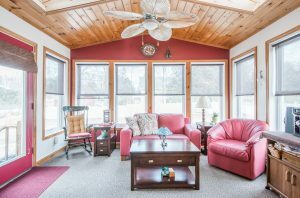 Just off the kitchen is a bright knotty-pine tongue and groove sunroom with a skylight, a perfect space to enjoy your morning coffee! A first floor bedroom is a plus. The second floor holds two other bedrooms plus a den, and a convenient second-floor laundry room. And Even More to See Outside! 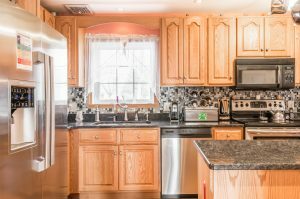 Outside you will be pleased to see a back patio, located in a private, thoughtfully-landscaped backyard that is fully-fenced with easy to maintain vinyl fencing. Included is the 8 x 16 shed with a retractable roof, used as an observatory by the current owner. In the attached, two-car garage is a loft storage space with pull-down stairs. 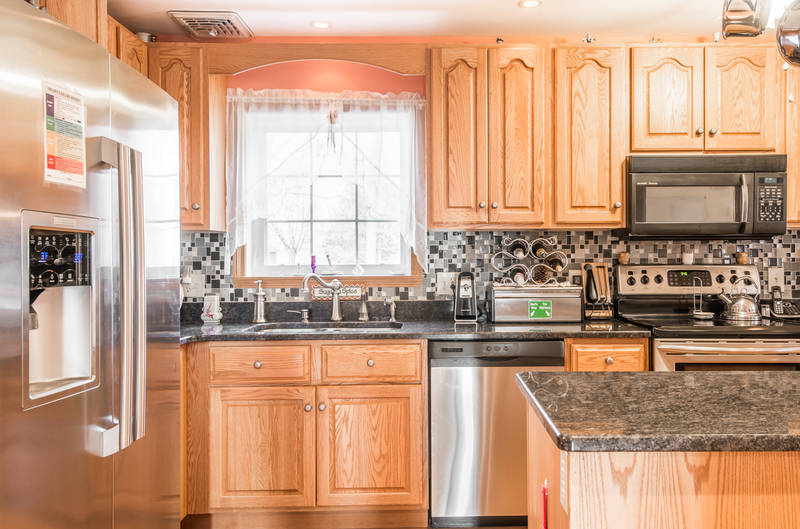 This feature-packed home also includes a central vacuum, walkout basement AND central A/C!